Featuring a special interview with Mr. Ezra Zilkha, and a panel discussion with Carole Basri, David Dangoor, and David Lavipour. Join us for an unforgettable evening to hear about Jewish life in the cultured, progressive, and cosmopolitan city of Baghdad before WWII, the tragedy of the Farhud and the unprecedented IDF Airlift operation Ezra & Nehemiah. Featuring an interview with Ezra Zilkha, a panel discussion with Carole Basri, David Dangoor, David Lavipour, the screening of a short film What We Left Behind and a preview of the film "Letters from Baghdad." This event is FREE thanks to our generous sponsors, however, registraton is required. A special reception has reached capacity and is therefore SOLD OUT. You may still register for the PROGRAM ONLY, to register, please click here. 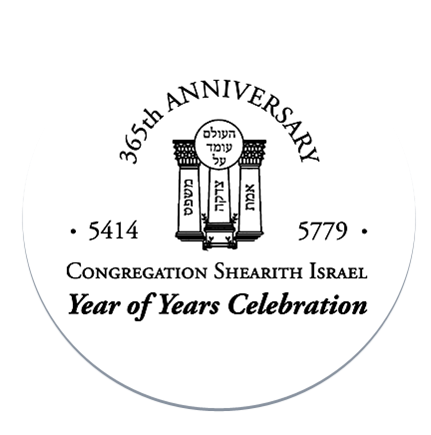 This program, which showcases the extraordinary diversity of our congregation throughout its history until today, is one of our many Year of Years, 365th Anniversary celebration events.